I started off Sunday with a bit of a hangover. I don't usually get hangovers but then I don't usually drink for such a long extended period of time and without food to boot. Aunt Karen invited Eva and I to dinner with her, my aunt Eileen and my grandparents but since we were feeling fragile we decided to stay at home, meaning we didn't see our aunt Karen as usual. I spent a lot of the day working on my Belfast Pride post. I spoke about things in that post that I hadn't before and I felt quite vulnerable writing it. Though I felt a lot better once I spoke to Eva about it. I guess her opinion means the most to me out of anyone. Once I posted it up I got some lovely comments on it too, which made me feel even better. 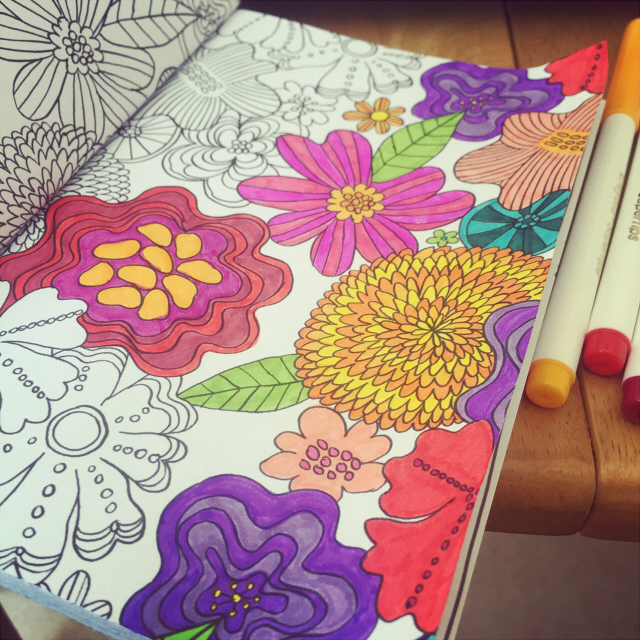 In the evening I sorted my pets then finally tried out my new mindfulness colouring book, which I really enjoyed. On Monday I woke up to breakfast and even remembered it was supposed to be a meat free day! I'm really struggling with meat free days. Not because I miss meat but because I eat it and then remember I'm not supposed to. Sigh. The stuff for the Colour Run I'm doing at the end of the month arrived. I had thought about including a photograph of what I got but I think I'll save it for the inevitable Colour Run post. While Eva and I ate breakfast we watched Criminal Minds. Eva was working from 1:30pm until 10pm so she left to go to work and I decided to watch some Heartland while I worked on my mindfulness colouring book again. I then took and edited some photos before starting work on My Week In Words. If you missed last week's post you can find it here. Once I had it posted I spent the rest of the evening chilling. I'm also happy to say it was my first successful meat free Monday. Tuesday got off to a bad start as Eva and I ended up having an argument with my mum. Luckily it didn't overshadow the whole day and it did spur her into action where my independent living quest is concerned. On Tuesday I also decided to bite the bullet and finally got Snapchat. I've been asked if I have it a lot and some have tried to talk me into it but I never seen the appeal. I don't really remember why I gave in but I did. I'm actually a little addicted to it now. I don't like having conversations on it that much. I guess probably because I look ratchet a lot of the time. However, I'm really enjoying having fun with the My Story function. So yeah, if anyone wants to add me on Snapchat mine is BloonStuff. Later on I worked on my review of Streamvale Farm. Once I had it finished I chilled, chatting on POF and working on my colouring book. 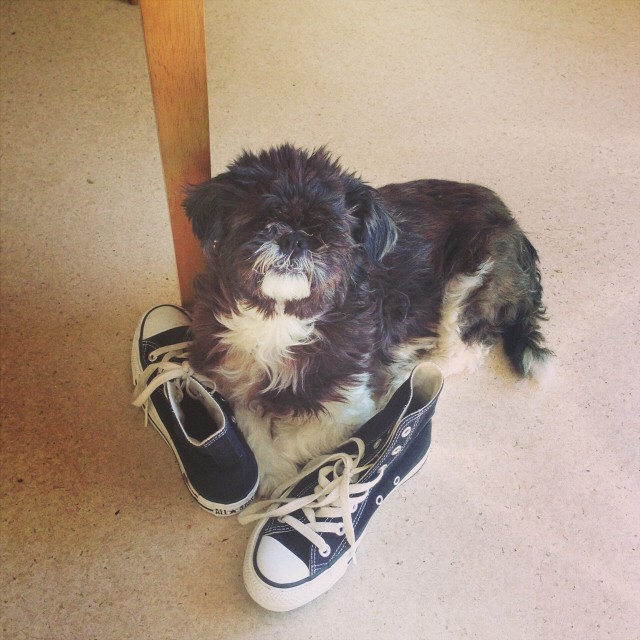 Tuesday also marked a year since we'd said goodbye to our 16 year old Shih Tzu for the final time. I can't believe it's been a year. In a weird way it feels like forever ago and in other it feels like just yesterday. Mum rang about our housing situation on Wednesday. I need to do a bit of an update post on what is happening with that. 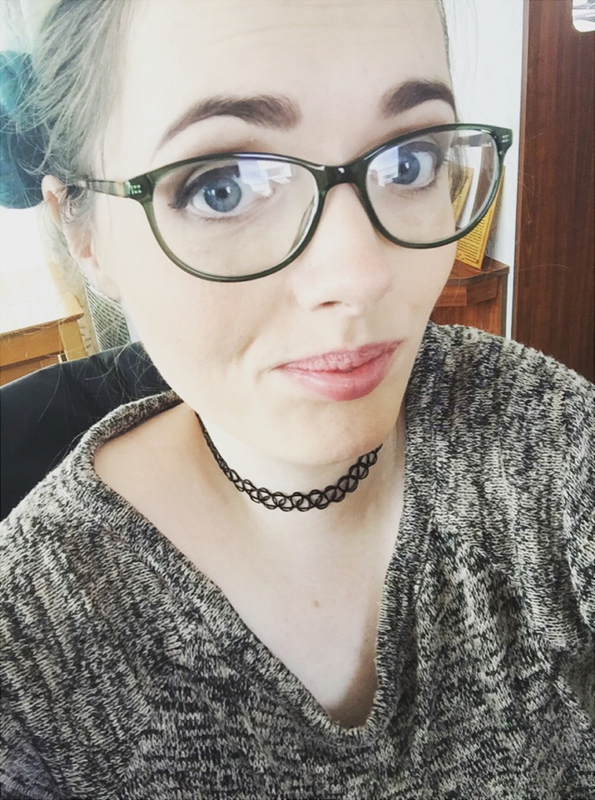 When I started blogging I had the idea in mind that I would document my journey to independent living but to be honest the journey is at a snails pace. So while my blog evolved over time it seemed that I'd let that fall by the wayside but in reality things had just come to a stand still. Hopefully I'll have more of an idea of what's happening soon and more to update you guys on. 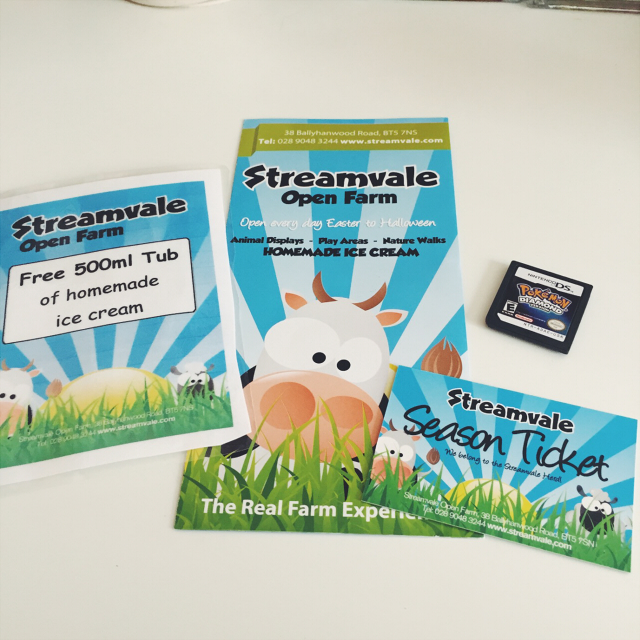 I posted my review of Streamvale Farm and I was so touched at how much Streamvale themselves loved it. I was contacted by them and they told me how happy they were with the review and that they were printing it for everyone to read! To top it all off they offered me a season pass so I can go and enjoy the farm and their adorable animals as much as I want! I was totally blown away. I can't thank them enough. I chilled the rest of the evening as I knew the next few days would be busy with my sister coming home from London. Thursday was the big homecoming! My sister, Jann, wasn't arriving until around 4pm so I took it easy in the morning. Eva and I watched an episode of Criminal Minds before she left for work and then I set about tidying my room. 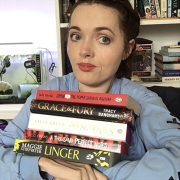 I hadn't got a post done for Thursday and decided I could combine my last minute tidying with a last minute post. Thus the idea for my What's On My Desk post was born. If you missed it you can check it out here. Jann arrived before I got the post finished but thankfully she didn't mind me finishing it off. After some dinner and a bit of a catch up we headed to my grandparent's house so they could see her. Luckily Granny remembered who Jann was. With it being so long since she'd seen her it was hard to know how it would go. By the time we left it was time to pick Eva up from work. We spent the rest of the night just chilling and hearing all Jann's stories of nursing. She also got to witness her first egg check. Not quite as exciting as some of her stories but it was the best I could do. Friday was a big day. It started off on a high as my season pass to Streamvale Farm arrived and so did a used Pokémon diamond game I'd bought for my DS. I already had it but Eva started playing it recently and you know, one can't do anything without the other. So I got a game too. We all went to Portrush for the day. Portrush is a coastal town about an hour and forty minutes from where I live. My grandparents have had a caravan there ever since I can remember. We spent a lot of time there as children in the summer. Although my grandparents can't make it anymore, my mum, dad and my cousin and his wife decided to take on the caravan. It was a nice day. We headed there around noon. By the time we got there we were more than ready for lunch. Luckily it didn't take long for my aunts Karen and Eileen, along with my uncle Brian, to meet us there. They had the food. I brought Pinkie Pie with me as I wanted to take photos of her during the day, in different places we visited. However, it didn't didn't turn out to be as much of a leisurely day as I had thought it was going to be. After lunch we headed into Portrush town. First we stopped off for ten minutes at The Coastal Zone, the Department of the Environment's main coastal and marine centre. It's just a little centre but I always enjoy popping in. It's definitely improved since the last time I was there too. We then headed to a store called The White House. It's been my favourite store in Portrush for years as they have a toy section. I mean they do everything but toys are the only thing I care about! This is when the day got a little weird and Eva and I ended up on our own quite a bit while in town. We'd had our hearts set on having a look in The White House but we'd only arrived when everyone decided to leave, so Eva and I stayed behind. I ended up buying a bunch of toys but I've decided not to include them in this post and save them for the first in a new toy series I'm starting. We also went into a shop called Blue Moon and I spent more money there. It's an awesome hippy shop. I bought some more healing crystals. The only thing is I can't remember what they're called or what they're for. I knew at the time and they made sense. I believe one was for courage and confidence, one for healing and another for encouraging companionship. Or osmething. I wish they'd given you a little card with them like the ones I bought online. If you know what these stones are called, please tell me in the comments! I also got this plaque for my room. I love it so much but I'm not sure where I'm going to put it yet. I want it somewhere it will be seen. Perhaps somewhere around my desk to inspire me. I also bought a friendship bracelet to add to my ever growing bracelet collection and a cute little handmade wire ring. It's not very often I find rings that fit me and they had a couple but I just loved the one pictured below. It wasn't long until we were heading back to the caravan. My aunt picked up some fish and chips on the way back for us to have for our dinner before we set off home. It was a lovely day in Portrush and we got such lovely weather but it felt very long. Especially with over three hours of driving. I was well and truly drained by the time we got home and I had an awful migraine. Still, we ended up watching a documentary called Kids For Cash, about a big scandal in the US. I was surprised I made it to the end but it was very interesting and a little scary. I had a long lie in on Saturday. We'd planned to go to see my grandparents but we were too tired. So we chilled until we had to get ready to go out for dinner. Dad was taking us to his golf club for dinner, mum, aunt Karen, aunt Eileen, Eva, Jann and I. Eva picked my outfit but I didn't feel comfortable. You're supposed to dress up for the golf club. Jann looked like something from The Sound Of Music. Well, that's just not me. When I finally picked a comfortable outfit I felt good. I really love my muggle top. I almost sent it to the charity shop the other day! Luckily I double checked the bag. Anyway, I was feeling pretty! Dinner was really lovely. I ended up a bit tipsy as I got a wine spritzer. I didn't even finish it because it was making me sleepy. Though, that didn't stop me getting a little Snapchat happy. I was on the look out for baes. You know, as you do. We didn't get starters and went straight to the main course. I got goujans and mash potatoes. I usually get mash with most things now, instead of chips, as it means if I have an anxiety related choking episode there's still something easy that I can eat. So the whole dinner isn't a waste. For dessert I shared sticky toffee pudding with my dad. The food was so good. I'm really loving the new chef. By the end of the dinner I was about ready to go into a food coma. We were all supposed to go to my aunt Karen's house so Jann could see it. She hadn't seen her new house yet. However, Dad, Eva and I ended up heading home and Jann and mum went to aunt Karen's with her. We chilled for a bit when we got home and watched some YouTube before heading to bed. I was out like a light. LOVE those green trousers! haha You look gorgeous! Another fun filled week for you. That Coastal Zone places looks right up my street!! Thanks! I need a new pair. They're leggings so they don't last long. Lol. Gosh, you're making me blush. ;D Haha.